As Brexit Day approaches, the outcome of the UK’s planned withdrawal from the EU seems more uncertain than ever. 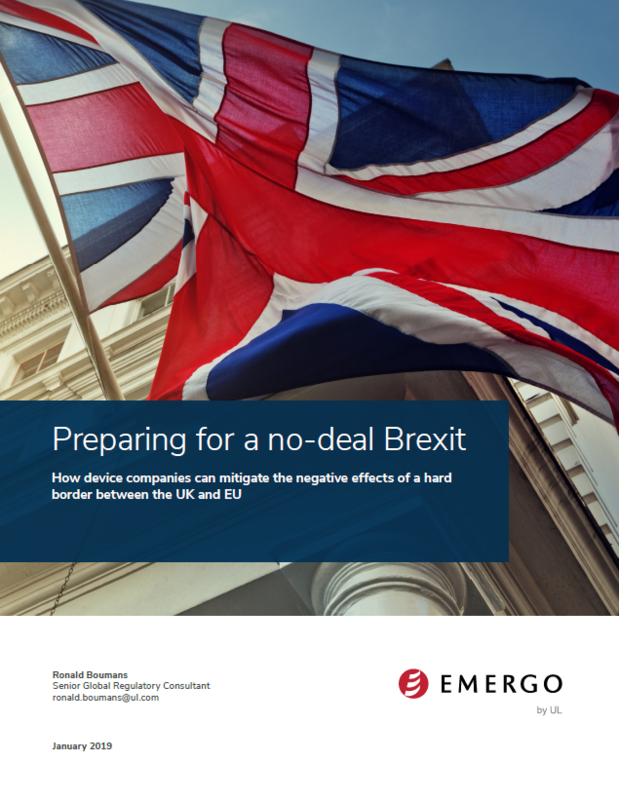 One thing is definitive: a no-deal (or Cliff Edge) Brexit would bring serious, immediate consequences for all industries operating cross-channel—especially the medical device industry. steps you can take to prepare for Brexit. Learn all this and more in this 16-page white paper. Click the Download button below to email the file to yourself.